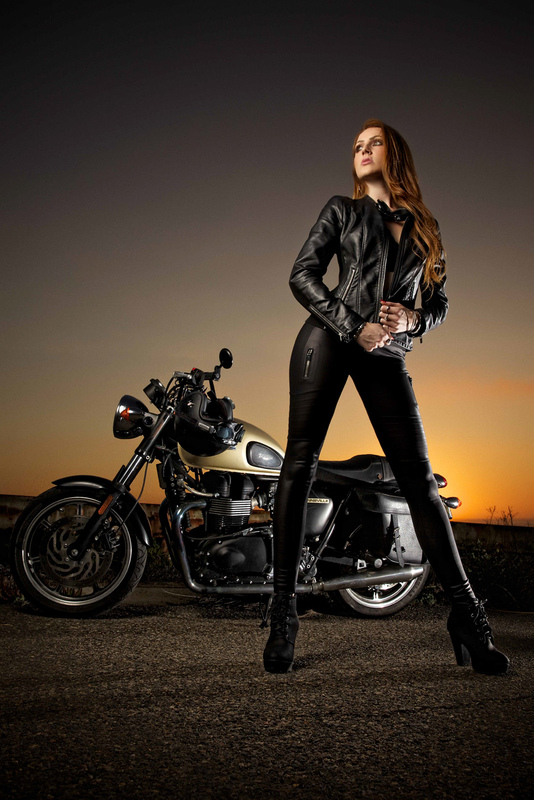 Behind the scenes photos from Wes and Liz’ engagement photoshoot on Triumph motorcycles decked out by British Customs! 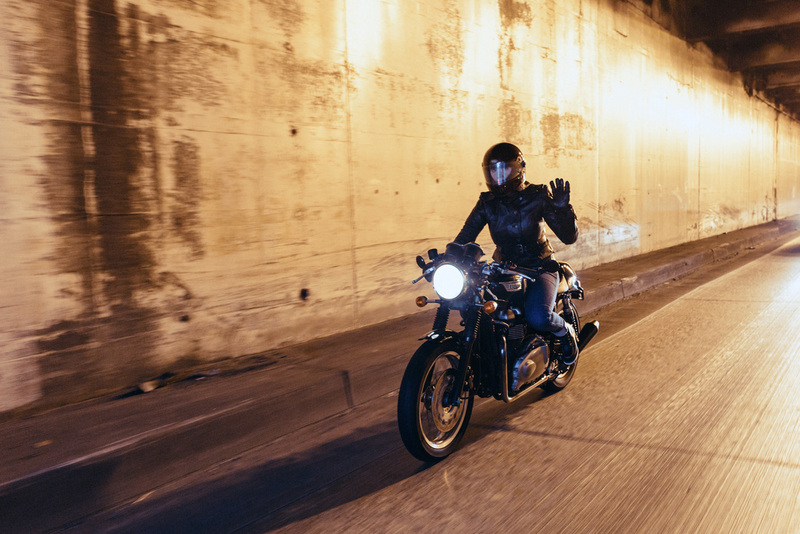 Photographs of Morgan on her Triumph during a very chilly Winter ride through Seattle with the Rainier Ravens​. 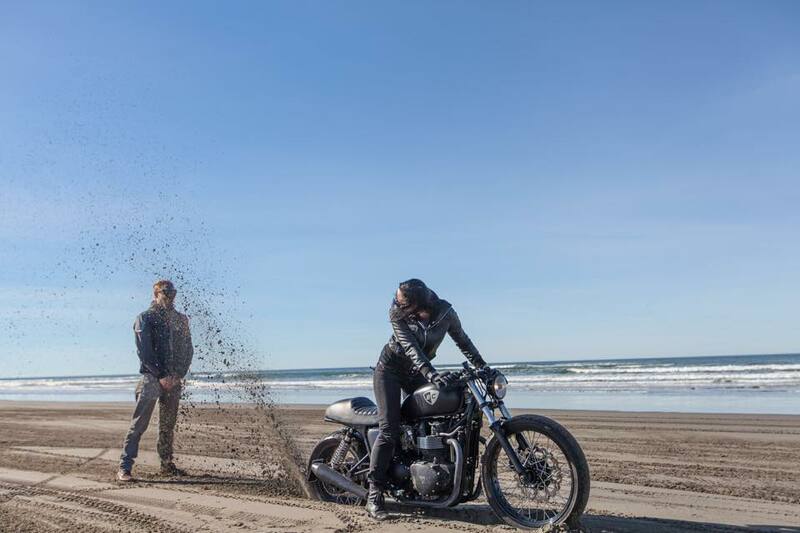 Mai-Lin, stunt rider, all decked out in Icon gear pulls a wheelie on a red Triumph. 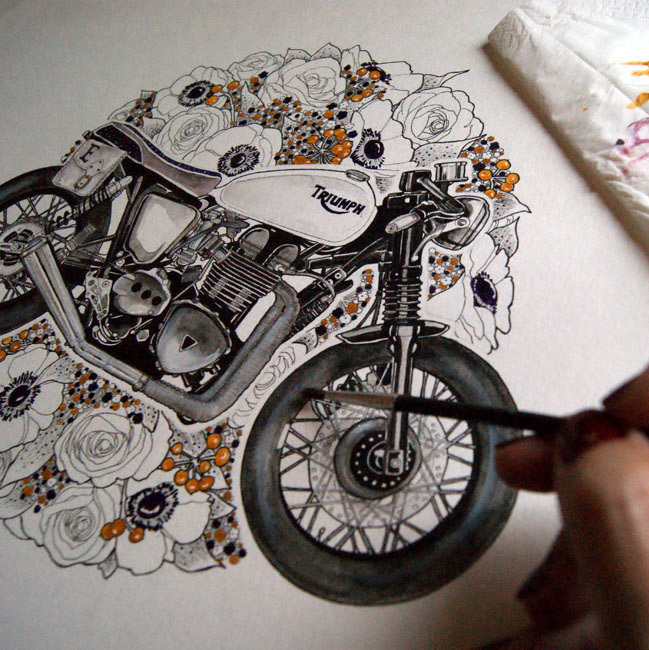 Ashley, from Northern Ireland, made her motorcycle road trip dream come true. 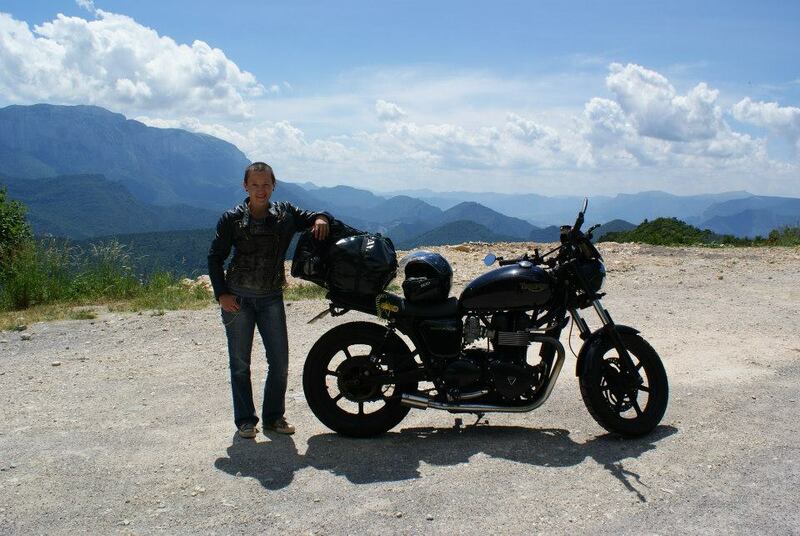 After moving to Barcelona, she saved up for a Triumph Bonneville, customized it herself, and took off for a 12 day adventure through France and Switzerland! 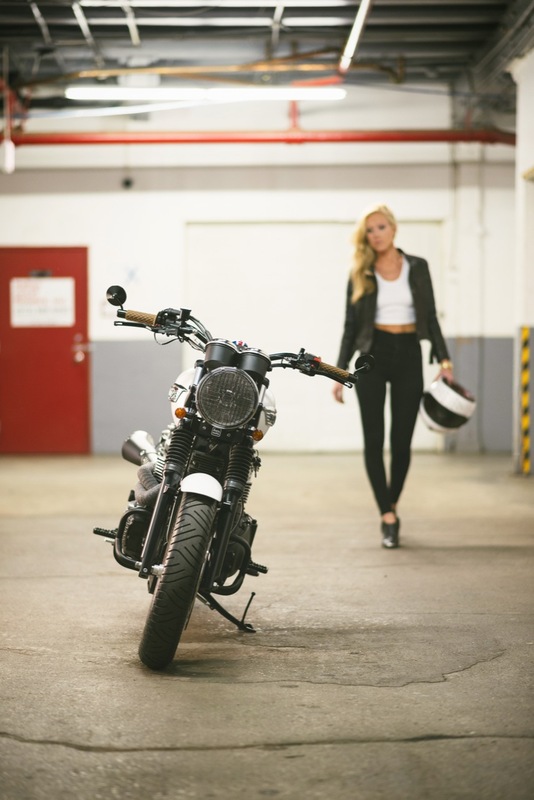 Exclusive photos of the new Salz Moto Triumph Bonneville scrambler build, starring model and rider Laura. 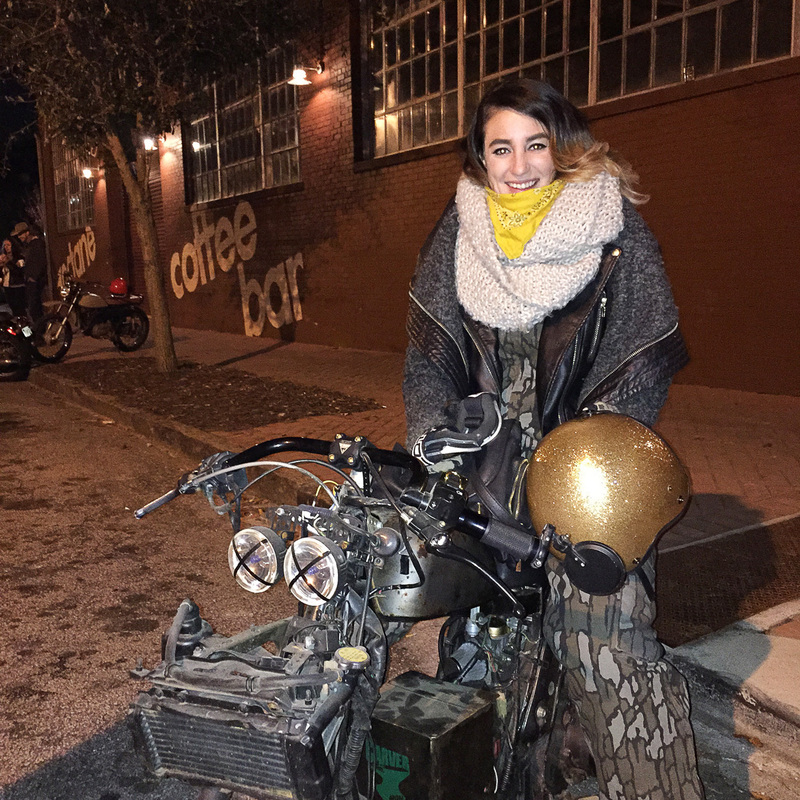 Silver Piston and Triumph North America combined forces- Friday November 14th kicked off the first Octane Bike Night in Atlanta, Georgia! 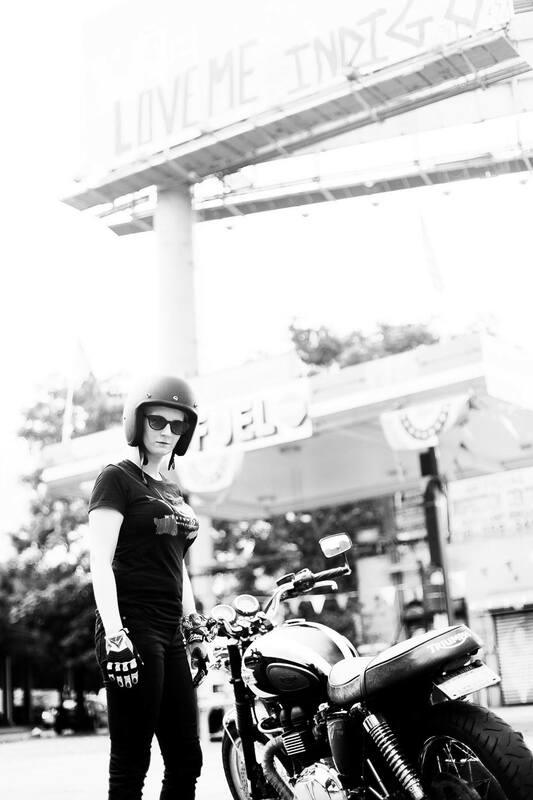 Weronika Kwapisz, 27 years old, is a Polish motolady who had a dream to ride across America- and she made it happen! 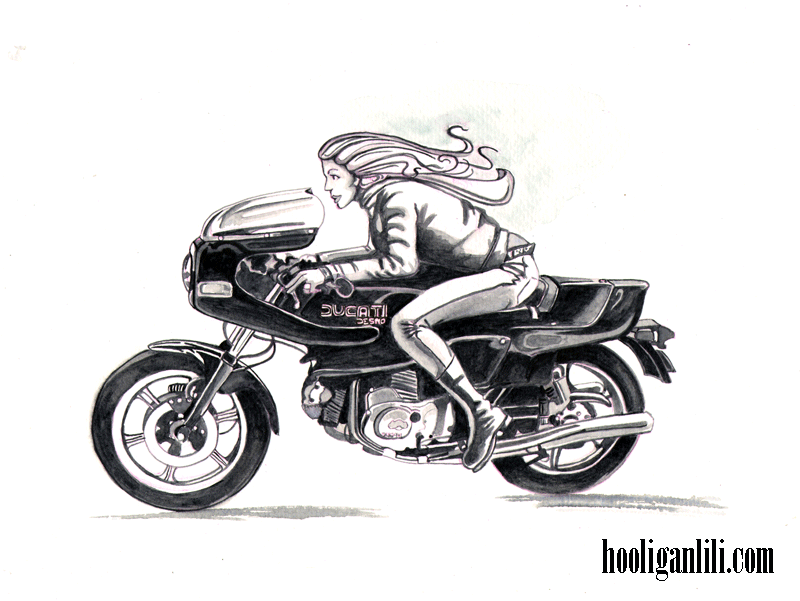 HooliganLili’s retro moto girl artwork- watercolor paintings of awesome vintage motorcycles and stoic women.